UM alumni Ari Schiftan and Evan Asher launched an online crowd-funding campaign on March 12 to bring their product SnapShades to retail in 2014. 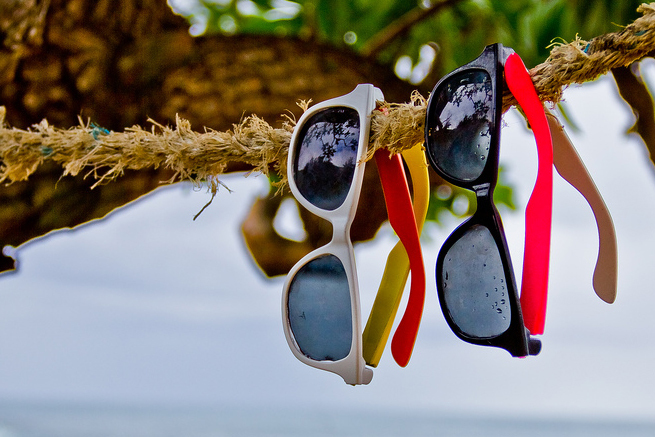 SnapShades are customizable sunglasses with interchangeable parts. The duo used a website similar to the popular fundraising website, Kickstarter called Crowd Supply. Schiftan and Asher have met about more than half of their $10,000 goal. SnapShades uses a patent-pending magnetic hinge system that allows each part of the sunglasses to be completely interchangeable. With a wide variety of different colored rims and sides, they can easily be tailored to anyone’s style. The glasses’ design also solves the problem of bent or broken hinges. Since the campaign’s launch, Schiftan and Asher have already made more than 200 orders. With the money, they hope to expand production and distribution while building a foundation for their business. This will include setting up a website, lining up distribution, expanding the SnapShades product line and seeking external investment. The team is also looking to incorporate prescription lenses, get sports licensing and expand into large retail locations. Schiftan came up with the idea for SnapShades while on vacation with his family in California in July 2012. He wore sunglasses with different colors, and he realized that there could be greater customization and flexibility. They both founded South+South, a product design and development company in Detroit, Mich. where they work full-time as engineers, developing SnapShades on the side. Schiftan and Asher studied engineering at UM. According to Schiftan, their education at Miami has been instrumental to their progress thus far. For more information about SnapShades, visit getsnapshades.com or CrowdSupply at crowdsupply.com/south-south/snapshades.